Product prices and availability are accurate as of 2019-04-08 20:10:33 UTC and are subject to change. Any price and availability information displayed on http://www.amazon.com/ at the time of purchase will apply to the purchase of this product. 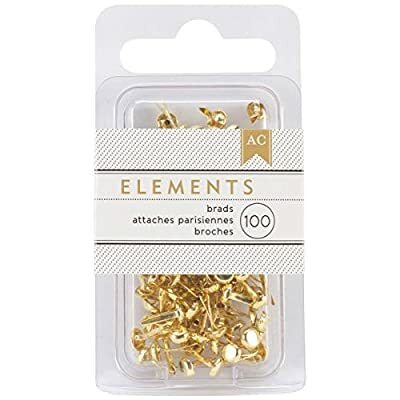 Great little brads for fastening paper, embellishments, tags, and more to scrapbook layouts, greeting cards, and other paper craft projects. This package contains 100 mini painted brads.